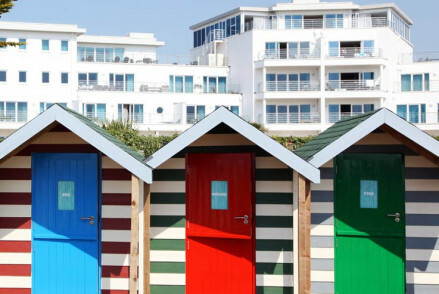 At the farthermost reaches of England's West Country, with its incredible coastlines, beautiful beaches, huge skies, bucket-and-spade seaside villages, wild moorland, secret valleys and deep, high-sided lanes this is one of the most memorable English holiday destinations. 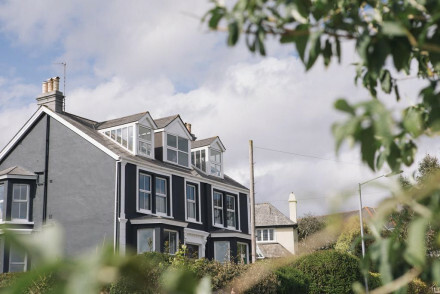 The best places to stay in Cornwall can be found in the more popular haunts like St Ives and Padstow, but a large number are popping up in less touristy destinations and off the beaten track country spots. Cornwall's north coast is known for its big waves, beloved of surfers and offers 60 miles of dramatic Atlantic Heritage Coast from Bude to Bedruthan – cliffs, coves, market towns, farmsteads and atmospheric Bodmin Moor. The South Coast is quieter and softer with sheltered coves and a more Mediterranean vibe. Penzance is a charming harbour town with impeccable arty credentials (it was home to the Newlyn school of painters) and lovely views over St Michael's Mount. For something smaller, but just as charming head to Mousehole. Marazion is ideal if you're looking for plenty of beach (and views of St Michael's Mount), whilst Fowey (further east) is a gorgeous town at the mouth of the River Fowey, which hosts a regatta every August. 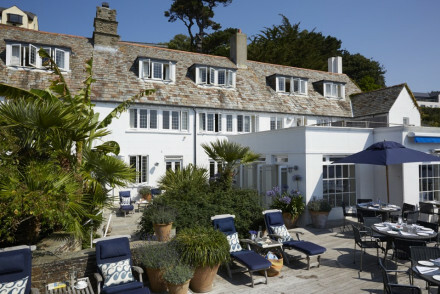 But for some, the only place to stay on Cornwall's South Coast is St Mawes. An unspoilt village with two beaches to choose from, an ancient castle to explore and several chic hotels. 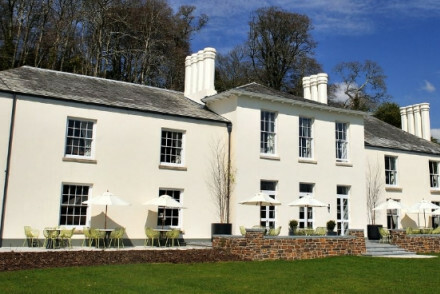 Our favourite properties among the best places to stay in Cornwall are hotels which are either dramatically sited on the coast or lost in countryside, many of them reflecting the region’s chic image while still providing endless summer fun for families; others are cosy old favourites. Grab a board and hit the waves. Cornwall offers some of the best surf in the UK along with a number of schools for beginners. Explore the enormous indoor domes of The Eden Project replicating climates from throughout the world and showcasing their unique biodiversities. Educational and fun, ideal for a family day out. Visit the picturesque harbour of St Mawes and the most perfectly preserved of Henry VIII's coastal fortresses, St Mawes Castle. Make a trip to the Millennium, Belgrave and Wills Lane galleries in artsy St Ives. Newquay Zoo boasts 130 species, including lions, meerkats, penguins and ring-tailed lemurs that visitors can feed by hand. But don't forget that this county is ever popular, so if you want to be sure of a bed in one of the best places to stay in Cornwall, get organised and book well ahead. The south coast boasts sparkling seas, hidden coves, tropical gardens, working ports, charming harbour towns plus some of the best places to stay in Cornwall. Many rooms are booked up early in the summer tourist season so planning ahead is definitely advisable, but it's always worth trying for something more last minute. 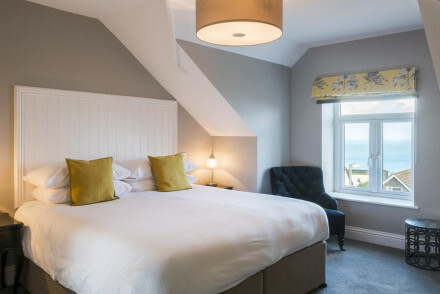 The Driftwood Hotel near Portscatho feels as much Côte d'Azur as Cornwall with its light, airy, cleanly stylish but very comfortable interiors. There is a semi-private beach at the foot of the garden, decked terraces overlooking the dreamy view and a romantic cabin halfway down the cliff. Outstanding views of the sea come as standard in all of our best places to stay in Cornwall's south coast and the Old Quay House in Fowey with its estuary views make it perfect for boat watching. The outside spaces are excellent and the rooms are simply decorated but very comfortable. The homely Arts and Crafts style Trevalsa Court Hotel on a dramatic cliff top near Mevagissey has an oak-panelled dining room and a private cove below. Along the coast at Mousehole is The Old Coastguard with its pleasing mix of palm trees and open fires. The emphasis is on fun in the huge bar, the restaurant and in the big garden leading to the sea. Everything is pretty laid back - a vibe that is almost unanimous amongst our favourite hotels in Cornwall. Moving round to the West Coast and the best places to stay in Cornwall just keep coming. 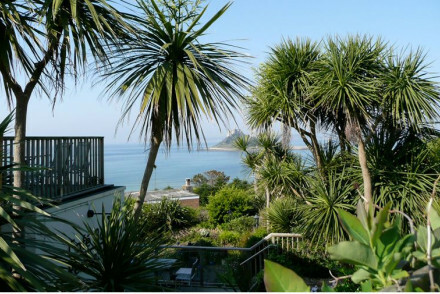 The Mount Haven has incredible views overlooking St Michael's Mount and a pleasing Cornish abundance of palm trees. For an affordable treat it is very good value with lovely local produce such as Newlyn crab on the menu. 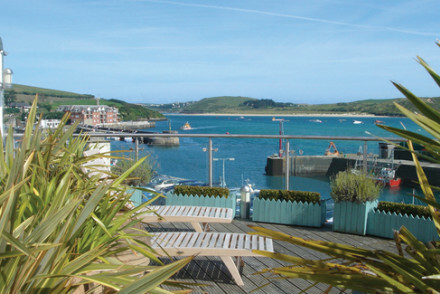 The Blue Hayes in buzzy St Ives has five bedrooms and a white balustraded terrace overlooking the harbour. A quiet oasis near the popular Porthminster Beach Cafe. 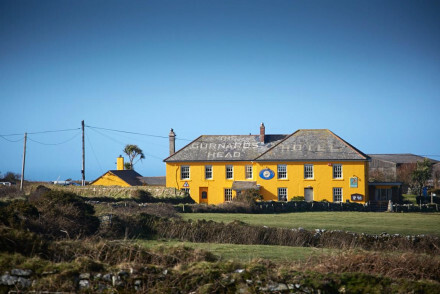 The Gurnard's Head Hotel in Zennor is an informal coastal gastropub full of character. Rooms are simple and tasteful with comfortable beds and all en-suite although the bathrooms have mostly showers not baths. The north coast has become a bit of a cliché in recent years. Teenagers going wild in Newquay....West London moving en masse to Rock and Padstow for August...etc, etc. However if you look hard enough, you can find some charming properties which manage to avoid all that and offer unpretentious, quality accommodation to suit tastes and budgets across the board. The wilder North coast of Cornwall is where the surf beaches are, and the popular holiday spot of Rock, home to the St Enodoc Hotel. It pulls off being both stylish and child friendly which has endeared it to the well-heeled families who flock to this part of Cornwall for beach holidays every year. A buzzy family paradise. 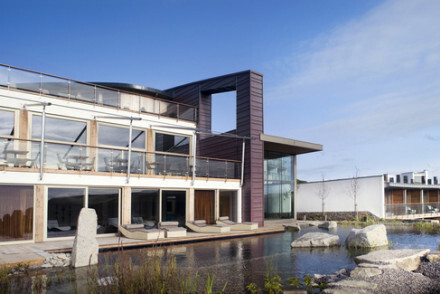 For those who would rather holiday without children, The Scarlet is purpose-built, eco-friendly and has lovely views of Mawgan Porth Beach through the many floor to ceiling windows.There is an infinity pool an Ayuverdic spa, some seriously cool outdoor hot tubs and a no children policy. 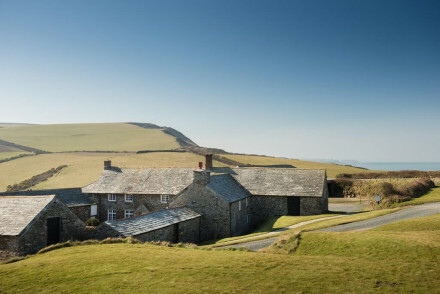 For something altogether less chi-chi on the North coast, The Old Rectory at Boscastle, where Thomas Hardy met his wife, is a cosy, welcoming B & B. Much of the produce for the breakfasts comes from the garden. Cornwall is awash with holiday accommodation for those who want to self cater from basic apartments, to top of the range large houses. We'd recommend you visit our online partner, booking.com for a full range. Fly to either Cornwall Airport Newquay which has connections to various UK airports or the larger international Exeter Airport located 71 miles from Newquay. High speed train services run frequently from London Paddington station to Penzance. Best time to visit - Cornwall during the summer (June to August) is at its most pleasant when temperatures average between 17°C - 21°C but this will also be when it is at its most crowded so for warm nights by the fire and blustery coastal walks pick one of the winter months. Still not sure which is the best place to stay in Cornwall for you? You could refine your search to just Cornwall's most romantic hotels? 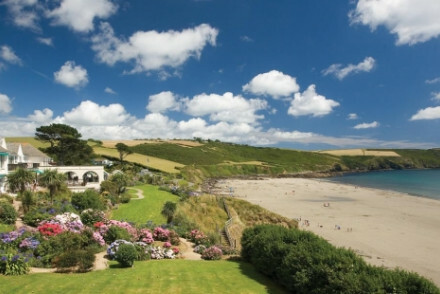 or Cornwall's Best Beach Hotels? 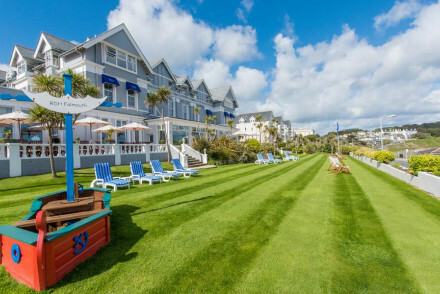 or The Best Hotels in Cornwall for Families? Or you could expand your search to include all our recommendations in neighbouring Devon? Elegance and understated style make up this romantic Arts and Crafts coastal boutique - a home away from home. Standing on the cliffs, the sea breeze makes for a blowy Cornish escape. 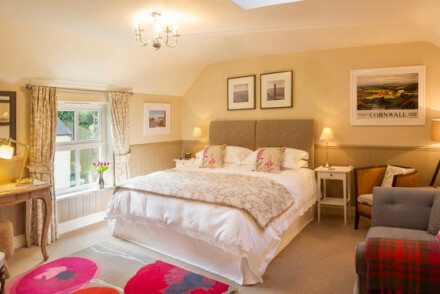 Comfortable rooms decked with paintings and log fires. Enjoy locally sourced food at the wood paneled restaurant. Total relaxation - Chill out in your plush room overlooking the bay, take a morning stroll to the beach or sit and watch the fishermen at work. Local exploring - Ideal spot for exporing the Cornish coast by sea or land, full of hidden treasures and secluded spots. Sights nearby - Mevagissey Village is just ten minutes down the road and is an ancient fishing village with a Grade 2 listed double harbour. Sailing - Plenty of boat rentals available, head out with a skilled skipper or charter your own course. Fun, laid back hotel with good food and spectacular views out to sea. Rough edges, simple rooms, very hospitable. 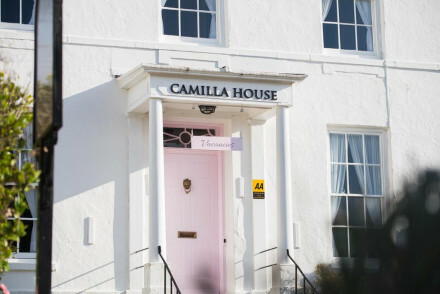 Glamourous and discreet six room boutique hotel in buzzy St Ives. A tranquil spot with sweeping views. Large airy rooms and suites with neutral tones and splashes or pastel colours. Informal dining based on Cornish produce. Excellent and personal service. Perfectly achieved laid back luxury. Hideaway - A real jem that is almost impossible to leave, with friendly and welcoming staff, cosy rooms, great views and spectacular food. Sights nearby - Tate St Ives Modern art museum is a brisk 20 minute walk away. Great walks - Walk from St Ives around the stunning rugged coast to Zennor. 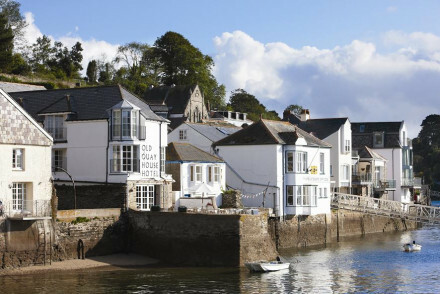 Boutique luxury in the heart of Fowey with ample amounts of sea air, estuary views and contemporary charm. Crisp, minimalist rooms are breezy and comfortable. The restaurant serves an inventive menu of local seafood delights. An ideal spot for a romantic mini break away from city life. Great walks - Wonderful walking all around this area, a particualr favourite is the picturesque Hall Walk, which ends in pretty Polruan. Sights nearby - The ruins of St Catherine’s Castle sit on the edge of the town and command spectacular views of the harbour. Sailing - Yacht rental is available nearby, head off with a professional skipper or simply charter your own course. Kayaking - Kayak rental is possible from the village of Golant, the perfect way to explore this stunning coast. 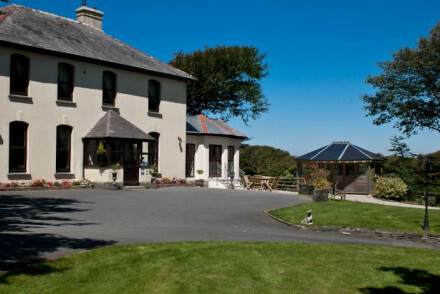 Sitting in privates acres, this chic and intimate hotel overlooks stunning Gerrans Bay. Light, marine inspired rooms are the perfect example of comfort meets plush. A Michelin Star at the restaurant makes dining a spoiling yet casual affair, matched by a fine wine list. A dream Cornish location. Great walks - Grab a hotel picnic and head out through the private estate right down to the coast and explore the beautiful beaches! Fishing - Right on the coast, there are plenty of fishing boats to rent for the day with equippment and guides if necessary. Hideaway - A hideaway location just off the beach and in extensive private gardens, why would you leave? Surfing - No trip to Cornwall is complete without a surf session in the bracingly cold Atlantic. An impressive country house set in manicured gardens on the outskirts of the Cornish market town of Liskead. Traditionally dressed rooms feature soft hues, dark antique furniture and large windows boasting glorious views. A relaxing spot from which to explore the region. Country Escape - Boasting a secluded spot on the outskirts of Liskeard with access to glorious Cornwall countryside. Great walks - Embark on long walks through the picturesque countryside starting straight from the property. Sights nearby - View the intruiging Hurlers, a group of prehistoric stone monuments. Sailing - Take a boat through the atmospheric underground Carnglaze Caverns. 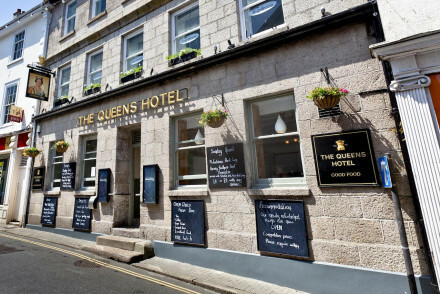 In the heart of St. Ives, The Queens Hotel is an excellent establishment. Featuring smart rooms, an atmospheric bar and great food served in the restaurant. It's the perfect launchpad for exploring the charms of Cornwall's former artist colony. Surfing - The coastline near St. Ives full of great surf spots. Local markets - Browse St. Ives's fruitful farmers market. 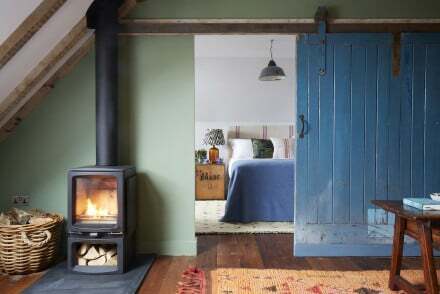 A contemporary chic guesthouse on the Cornish coast. Stylish beach themed rooms have large bathrooms and stunning sea views. Fabulous hearty breakfasts in a lovely breakfast room. Walking distance to restaurants, the beach, harbour and museums. A great choice for a weekend by the sea. 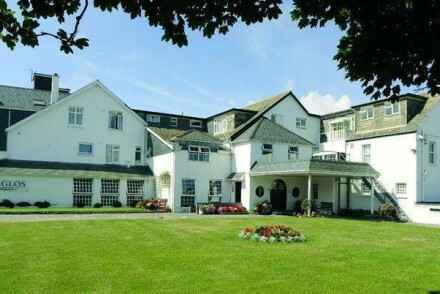 Located in the heart of Falmouth, Merchants Manor is just a short stroll from the beach. Boasts smartly decorated rooms featuring plenty of blues and whites. Award-winning cuisine served up in the restaurant, with an emphasis on local ingredients. Unwind with a spot of yoga. A classy coastal stay. The Chainlocker combines a prime coastal location with stunning modern interiors in muted tones. The rooms have quirky vintage furnishings and a subtle nautical design. The views across Falmouth from the expansive terrace are second-to-none, as is the seafood in the restaurant and the lively bar. 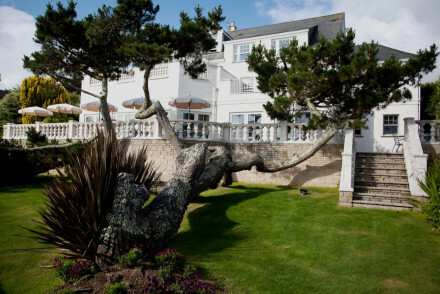 A chic cliff top hotel overlooking the pristine white sands of Porthminster beach. White on white throughout, the hotel has a distinctly un-British feel, you could be forgiven for thinking you're somewhere in the Mediterranean. The restaurant is a hotspot for foodies and the town for art lovers. Active Holiday - Cornwall offers a host of outdoor activities from watersports to rugged hikes. Surfing - Head for Porthmeor beach for excellent surf conditions. 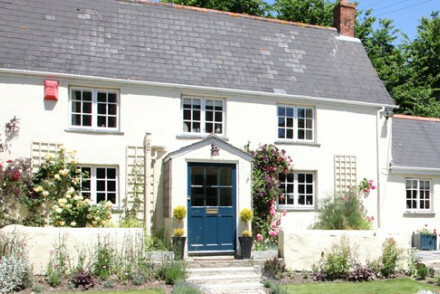 Charming B&B in the Cornish countryside near Padstow. Comprised of three delightful rooms and a wonderful garden, Churchtown Farmhouse is full of quaint character. 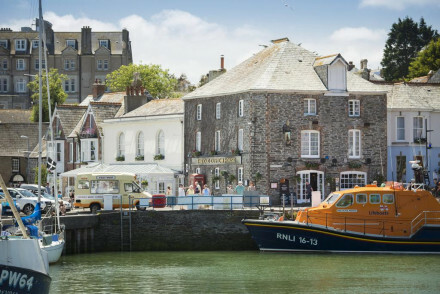 A great launchpad for exploring the beautiful landscape and Heritage Coast around Padstow. Sailing - Padstow is the perfect launching place for sailors of all standards. 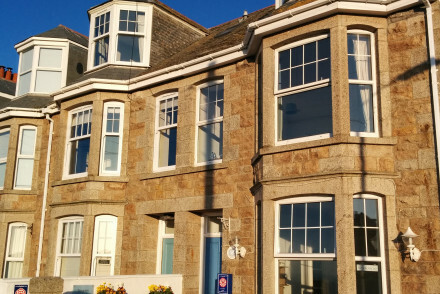 Situated in the heart of St. Ives, Channings offers good accommodation at a fair price. Featuring comfortable rooms, some of which offer fabulous sea views, and a good breakfast to start the day. It's a great base for a trip to St. Ives. Birdwatching - The coast around St. Ives is home to abundant birdlife population. Fishing - Sea fishing trips can be organised from St. Ives harbour. Surfing - Cornwall has some of the best surf spots in the UK. 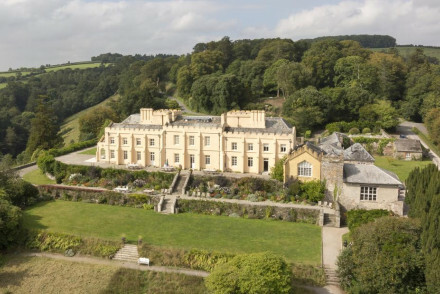 Under the same ownership for over 20 years, Treverbyn House is a well oiled machine. With just three rooms, each individually decorated with exposed wood floors, antique furnishings, fireplaces and impressive views. A famous Full English is served. The property is a short walk from Padstow Harbour. Surfing - Cornwall has the best surf beaches in the country. Harlyn Surf School caters for beginners and improvers. Local markets - Padstow Harbour, a traditional fishing town, is worth a wander. Sailing - Daily boat trips run from Padstow to Rock. 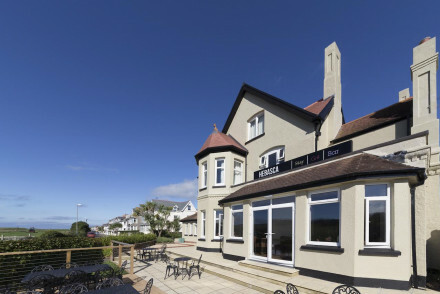 Stylish, modern hotel overlooking the Cornish town of Bude. Enjoy a cocktail overlooking the sea or feast on the offerings at Hebasca's grill restaurant. A good low-cost option. Fishing - Sea fishing trips can be organised at Bude harbour. Sailing - The coast around Bude is a great place for sailing. Surfing - The nearby coastline is a haven for surfers. Eclectic hotel whose unique rooms have mural works by local artists, flat screen TVs; en-suites have free standing tubs and eco-friendly products. Breakfast room-come-gallery has recycled furniture and plenty of art. Walking distance to buzzy cafes and pubs. Chic, colourful and authentic. 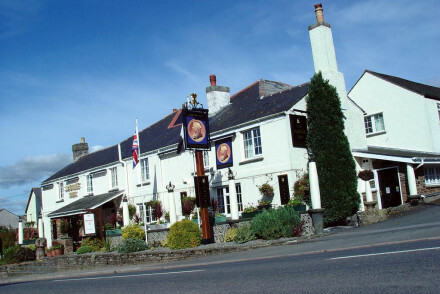 Jubilee Inn is located in the quaint village of Pelynt, Cornwall. This charming 16th century property offers unfussy accommodation boasting flat-screen TVs as well as a mini-fridge, whilst some rooms even feature four-poster beds. Enjoy a full Cornish breakfast each morning! A lovely little retreat. Great walks - A visit to the magnificent Eden Project gardens is a must! 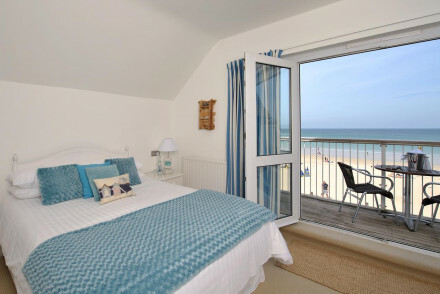 3 Porthminster is situated in the town of St Ives, just a short distance from the beach. This property offers four boutique rooms decorated with plenty of light hues (whites, blues and yellows) mimicking the coastal surroundings. Enjoy a splendid breakfast each morning! An intimate coastal retreat. Sights nearby - Be sure to go visit St Michael's Mount as well as Land's End! 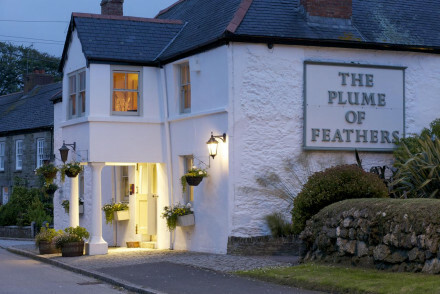 Tucked into the charming Cornish village of Mitchell, The Plume of Feathers is delightful. 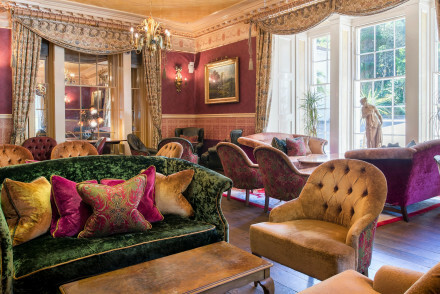 Set in an historic Coaching House, guests can enjoy spacious, comfortable rooms and delicious locally-sourced food in the popular restaurant. Great walks - The surrounding countryside and coastline is full of great walking routes. Surfing - The Cornish coastline is peppered with great surf spots. Sights nearby - Visit the stunning nearby Truro Cathedral. Wonderful views and a relaxing atmosphere abound at this coastal charmer. 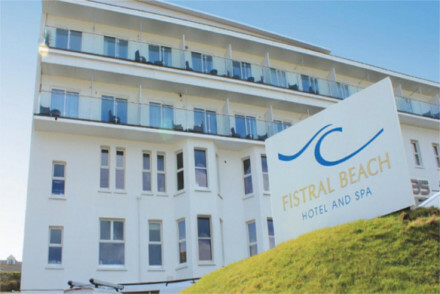 Delightful rooms, a superb spa and an excellent restaurant are just a few reasons to visit Fistral Beach Hotel. Surfing - Some of Cornwall's finest surfing spots are just a short drive away. Great walks - The surrounding coastline is full of stunning walking trails. Birdwatching - The Cornish coastline is a hotspot for seabirds. Sailing - Launch your boat from Newquay and set sail. 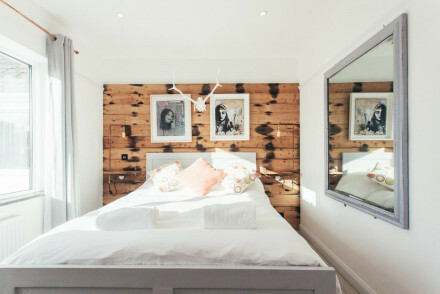 Just a short walk from the beach, Storm in a Teacup is a charming, boutique B&B in St. Ives. The rooms are stylishly decorated with modern furniture and pop art that give the place a chic feel. Great launchpad to explore the surrounding Cornish coast. Surfing - The surrounding coastline is great for surfing. Local markets - Ten minutes walk from Guildhall Market. 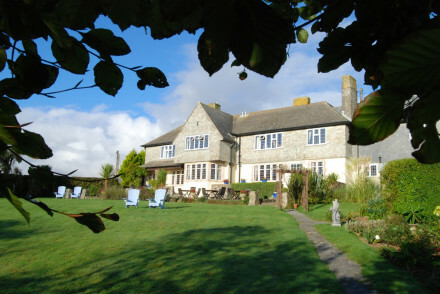 A short walk from the centre of Penzance, Venton Vean is a charming boutique B&B. Featuring smart rooms and delicious breakfasts, it's a great base for exploring and enjoying Penzance and the surrounding coastline. Local exploring - A great base for exploring Penzance and the surrounding coastline. Sights nearby - Visit the nearby Godolphin House, a place steeped in mystery and legend. Great walks - Take a climb up to St Michael's Mount and enjoy the view. Where Thomas Hardy met his wife, now a welcoming B&B. 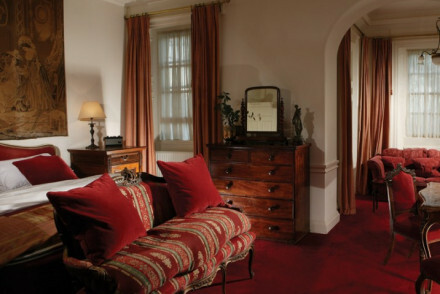 Secluded, tranquil and romantic- the traditional rooms feature, large sash windows and delicately patterned curtains. Lovely walks and a charming walled veggie garden. Beautifully cooked cornish food. 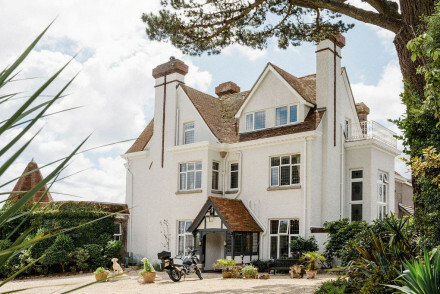 Ideal for a typically British country stay. Eco break - Dedicated to sustainablity- where possible produce comes from the gardens and farm and power comes from their solar panels. Country Escape - A stunning Cornish country house with chickens roaming the garden and fantastic walks from the property. Great walks - Grab a packed lunch from the hotel and set out to explore the rugged coastal landscape just five minutes away. Surfing - The nearest surf beach is Crackington Haven, a ten minute drive away. A delightful B&B set in a quaint fishing village. Five individually styled rooms feature patterned wallpaper, plush headboards and parquet flooring. Daily changing breakfasts are utterly indulgent and the hosts are ever welcoming. 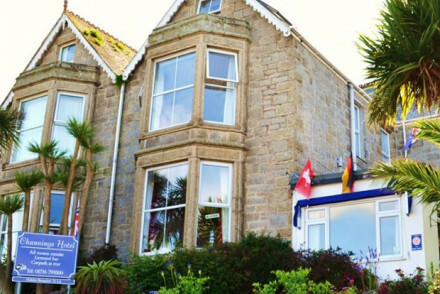 Local exploring - A charming B&B located in a quaint Cornish fishing village. The ideal place to explore the region from. Great walks - For a real-life ‘Secret Garden’ experience head to the Lost Gardens of Heligan. Overlooking ancient Cornish oak woodland, Mazey Cottage is a charming B&B. Featuring comfortable rooms and lovely garden, it's a great place to relax. It also has a self-catering cottage that's perfect for those looking for some additional privacy. 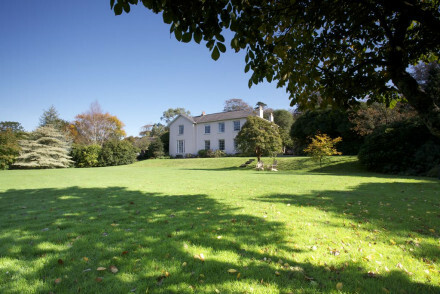 Sights nearby - Visit National Trust spots such as Godolphin House and Glendurgan Garden. Great walks - The Lizard area is full of superb walking routes. 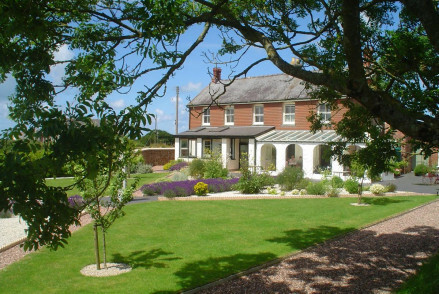 Charming hosts and a delightful setting makes Hay Barton a wonderful place to stay. Full of character and charm, the individually decorated rooms feature elegant furnishings and tasteful artworks. The perfect place for those who enjoy a game of tennis or a lovely walk. Great walks - The surrounding landscape is full of beautiful walking routes with Place to St Anthony being particularly stunning. 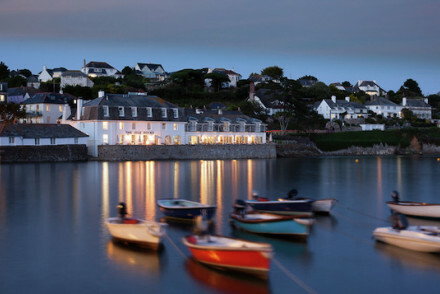 Sights nearby - Take a day trip to St. Mawes, a place with a hint of the Mediterranean. 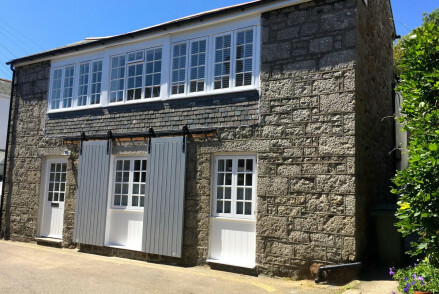 Charming and intimate, The Old Pilchard Works is a great place to stay if your visiting Mousehole. 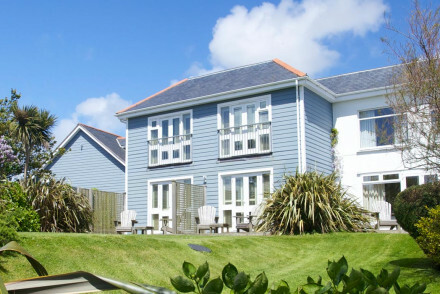 With smart, elegant rooms and private patios on which to enjoy the Cornish sun, it's an excellent spot for those looking to explore the most southerly parts of Cornwall. Great walks - Climb up St Michael's Mount and enjoy the view out over Cornwall. 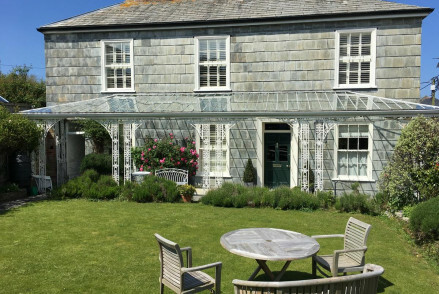 Luxurious bed and breakfast accommodation in St Mawes, a stone's throw from the beach. Three gorgeous bedrooms with a nautical feel and a cosy lounge area with fireplace. Plus an inviting flower filled garden for sitting out. You can even book a day's sailing with the owner! At Port Gaverne you really get a sense of the sea. From the delicious seafood packed menu to the charming fish wallpapers that adorn the bedrooms, you are never too far from the coast in more ways than one. Surfing - The surrounding coastline is full of great surf spots. Sailing - Great calling point for a sailing trip in Cornwall. Sights nearby - Visit the nearby Tintagel Castle. 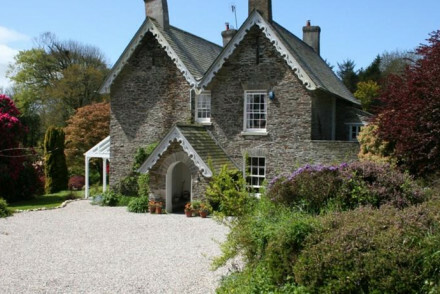 Set in a stunning house that dates back to 1705, Tredudwell Manor is a sumptuous B&B in Cornwall. Steeped in history and charm, the rooms are elegant and you can enjoy your breakfast in the manor's atmospheric dining room. A Cornish gem. Birdwatching - The Polperro Heritage coastline is home to an abundant bird population. Sights nearby - Thirty minutes drive from the Eden Project. 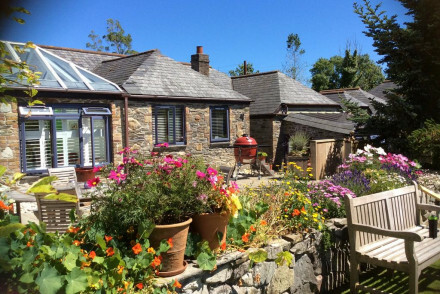 A lovely B&B located in the stunning North Cornwall countryside, only 6 miles from the sea. Relax in the cosy sitting room and enjoy a board game or good book in front of a roaring open fire. Bedrooms feature antique furnishings and luxuriously comfortable mattresses for the perfect night's sleep. Birdwatching - This area of Cornwall offers some of the most exciting birding in the UK during migration, particularly in the autumn. Great walks - The perfect base for walking sections of the Coastal Path or moorland area. The beach is but a short stroll from this coastal haven. Each of the three rooms are decorated in a French country style. The B&B's small capacity allows for an intimate, romantic atmosphere (and it's adults only). No lunch or dinner but award winning restaurants are close by. 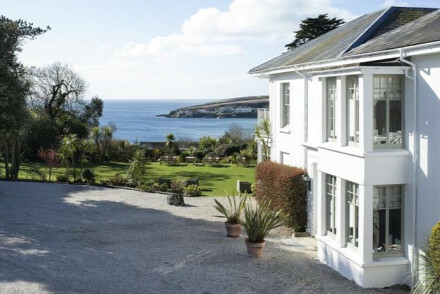 An elegant Georgian town house boasting an enviable coastal positioning in the buzzy town of Penzance. A recent refurbishment has given the rooms a contemporary facelift with soft hues, simple modern furniture and luxurious bathrooms. The breakfasts are award winning and sea views spectacular. 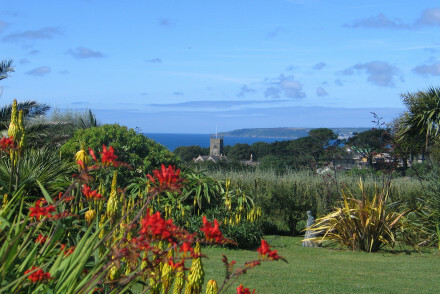 Local exploring - An award winning B&B ideally located to explore West Cornwall. Sights nearby - Discover the contemporary art instillations dotted throughout the Tremenheere Sculpture Gardens. Great walks - Cornwall's coastal path offers miles of breathtakingly beautiful walks. Charismatic owners, Hugo and Pippa, ensure that guests have an unforgettable stay. Breakfast is a veritable feast and Hugo's granola is sold throughout Padstow. Antique filled, brightly coloured rooms and bathrooms are Victorian in decor and proportions. There is a delightful terrace and garden. Surfing - Cornwall has the best surf beaches in the country and Waves Surf School provides lessons for all abilities. Sights nearby - The Eden Project is a must visit for the family and horticultural enthusiasts alike. Sailing - There are daily boats to the pretty seaside town of Rock. 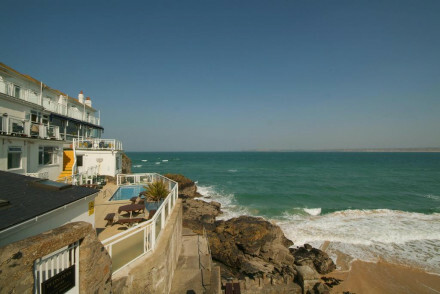 Overlooking one of Cornwall's most beautiful bays, the Carbis Bay Hotel is a superb place to stay. The well designed rooms are crisp and accentuate the hotel's magnificent views. Spend a day at the beach and return to the hotel's restaurant to enjoy some delicious locally caught seafood. Surfing - The surrounding coastline is full of great surfing spots. Great walks - Superb nearby coastal walking trails. 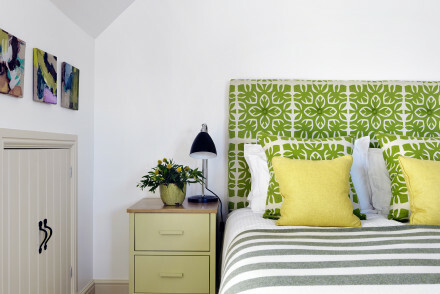 A small contemporary B&B set in the vibrant market town of Wadebridge. A handful of cleanly designed rooms are blissfully comfortable with sink-into beds, Egyptian cotton sheets and underfloor heating. Indulgent breakfasts are served and the welcome is warm. Local exploring - Ideally located to explore the villages, towns, coast and countryside of northern Cornwall. Sights nearby - Visit Tintagel Castle, one of Cornwall's most iconic Heritage sites. Surfing - Head to Polzeath for its golden beach and renowned surf. Great walks - Take long walks along the scenic coastline. 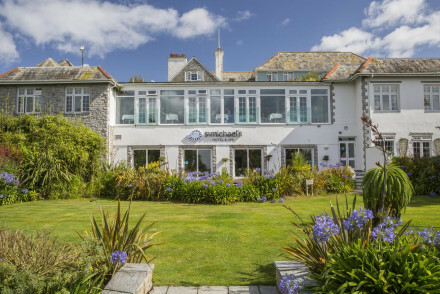 Designed for indulgent spa retreats, St Michael's Hotel is fully focused on providing a comfortable stay. Featuring deluxe rooms, a state of the art spa and gym facility, as well as an excellent restaurant, this hotel has all the components for a superb stay on the south coast. Sailing - The surrounding coastline is perfect for sailing holidays. Great walks - Superb walking trails along the surrounding coastline. Birdwatching - The surrounding coastline is a haven for birdlife. The unassuming Grange B&B offers 5 neat double rooms with modern decor. Guests are welcome to use the sitting room, spacious garden and terrace. Breakfast here is served daily in the dining room. In close proximity to a golf course and with bicycles to rent. Low key relaxation, ideal for couples. 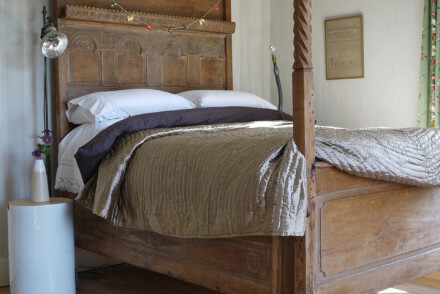 Charming off-the-beaten track farmhouse B+B. Self catering cottages and yurts in a stunning location. Beautifully renovated interiors keep all the old world charm whilst providing top notch comfort. Cosy yurts give a wild camping feel. Indulgent breakfasts are offered. A great escape. Country Escape - A converted family farm in a beautiful corner of the UK- drink in the pure air, explore the farm and walk the wooded valley. Total relaxation - You're sure to sleep well after long walks, therapeutic massages in the treatment room, and toasting evenings by the fire. Great walks - Wander across the fields at Botelet and explore the woodlands in a beautiful circular walk. Historic Georgian estate providing a gateway to local activities and a fine B&B as a base. A charming family-run B&B in the coastal village of Boscastle. 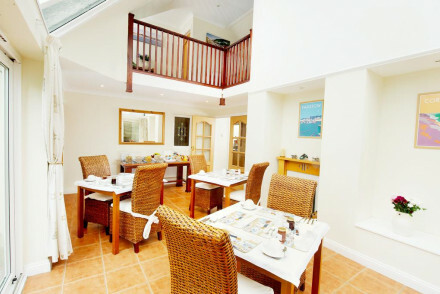 Surrounded by stunning coastal landscape, the Georgian guest house features comfortable rooms and delicious breakfasts. Surfing - There are surf spots dotted all along the nearby Cornish coastline. 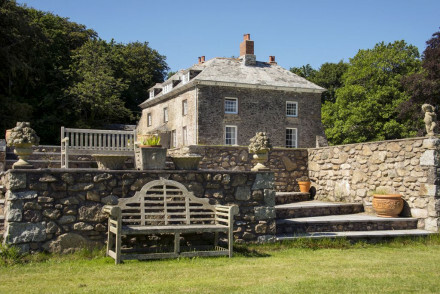 A sprawling pile of a house set in a secluded spot within Truro. Beautifully restored throughout the rooms perfectly mix the old and the new. Expect Farrow and Ball painted walls, chic contemporary furniture and plenty of charm coming from the original features. The restaurant is noteworthy too. Local exploring - Truro is on your doorstep and the rugged landscapes and sights of Cornwall within easy reach. Great walks - Take walks along the scenic coast of Roseland Peninsula. 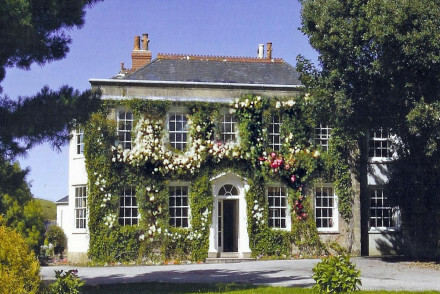 Full of character and charm, Creed House is a lovely 18th Century rectory turned B&B near Truro. There are just two excellent rooms furnished with antiques and fine art, a beautiful garden and attentive hosts all of which combine to create a delightful B&B experience. 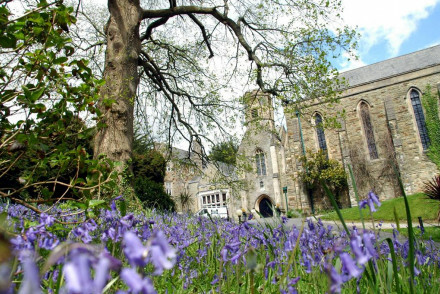 Sights nearby - Take a day trip to Truro and visit the magnificent cathedral. Great walks - Enjoy lovely walks through the house's beautiful gardens. Surfing - The surrounding Cornish coast is great for surfing. 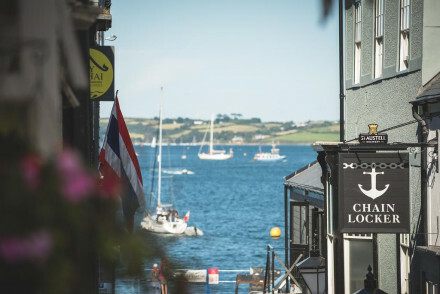 Perched on Padstow's charming quayside, this award-winning restaurant with rooms is the perfect spot for a Cornish getaway. Stylish, intimate and in the midst of the lively harbour, come for locally sourced food, and ensuite rooms with nautical furnishings and some with gorgeous roll top baths. Restaurant - Hearty pub classics and award winning ales. They also blend their own coffee on site. Having won awards and countless fans, Bangors Organic B&B is a charming family-run establishment. Sustainable living is the name of the game here. With a superb organic restaurant, delightful rooms and within a short drive of the Cornish coast and stunning walking trails. Surfing - Cornwall is home to some of the finest surfing spots in the UK. Great walks - There are a network of nearby coastal walking trails. Sailing - The Cornish coast is a great place for sailing. Sights nearby - Visit nearby Tintagel Castle. A pristine farmhouse in a scenic Cornish spot offering four immaculate rooms. Expect bright rooms decorated with soft hues and simple white furniture. Gorgeous homemade breakfasts are served using superb local produce and there's an endless array of activities to enjoy in the region. 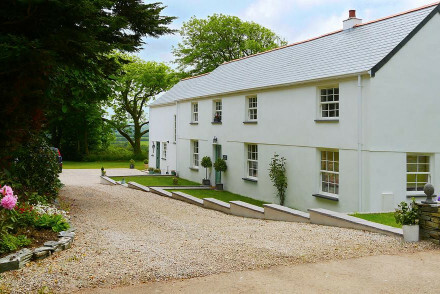 Country Escape - A very comfortable farmhouse in a glorious part of Cornwall offering numerous country pursuits. Great walks - Explore the extensive and beautiful coastal paths starting from the property. A chic boutique B&B boasting spectacular sea views. Immaculately styled throughout with white washed walls, crisp white linen and carefully placed artefacts. The best room features a large free standing bath. 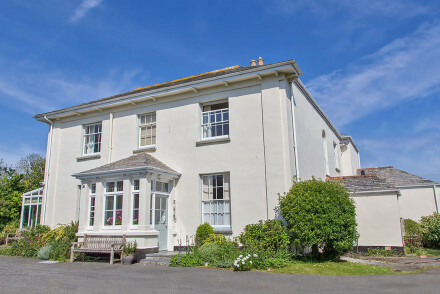 Well positioned to access the beaches as well as Falmouth's many attractions. Local exploring - With as easy access to buzzy Falmouth as to the beautiful countryside of Cornwall. Sailing - Explore the coastline on a sailing trip and search for dolphins, seals or basking sharks. Sights nearby - Visit the imposing Pendennis Castle, built by Henry VIII. Great walks - Get out of the town and discover Cornwall's coastline. 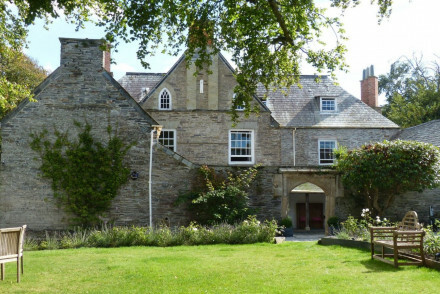 Trewornan Manor is located in the Cornish countryside just outside Wadebridge. This 13th century Manor House boasts 4 smart boutique rooms with modern bathrooms. Spend your days strolling around their 25 acres of gardens before coming back to sit by the roaring fire. A lovely weekend break. Sights nearby - Cornwall's spectacular Eden Project is an absolute must-visit! 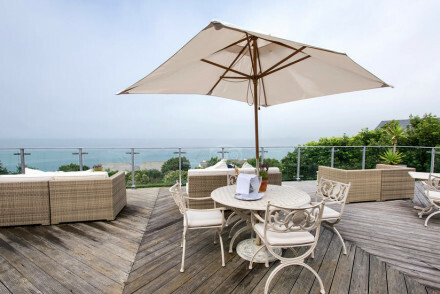 Contemporary adults only guesthouse with views to die for on the cliffs above Mevagissey. Spacious rooms and suites with contemporary interiors and luxury fittings as standard. A relaxed, grown up spot for a romantic seaside break with a home from home vibe accompanied by top notch service. Great walks - The coastal path is on your doorstep and there is a drying room for muddy boots and clothes! 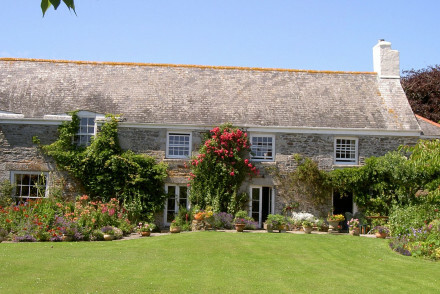 Set amidst beautiful gardens Trerose Manor exudes charm and character. The tasteful rooms are comfortable and traditional in style. Hearty breakfasts are served in the manor's homely kitchen or outside in summer. Just a few minutes walk from the sea, it's a superb place for a relaxing weekend away. Great walks - The surrounding area is full of fantastic walks. Sights nearby - Take a trip to Glendurgan and Trebah Gardens. 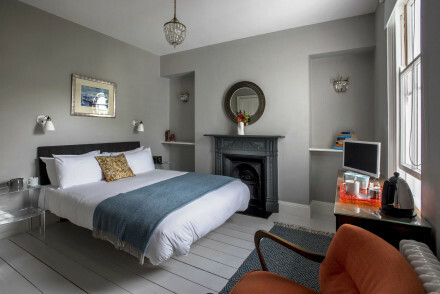 Revamped B&B, now a boutique bolthole by the sea, overlooking the beach. Spacious airy rooms, a business centre and sun terrace keep all ages happy. Views - Overlooks a beach on the Heritage Coast. 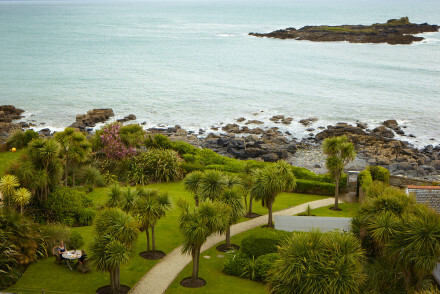 Glorious Georgian retreat just a few miles from the stunning St. Agnes coastline. 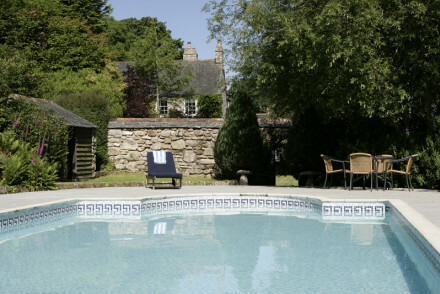 Boasting charming rooms, a superb restaurant and grand outdoor pool that's perfect for cooling off in the summer heat, Rose in Vale is a great option for trip to Cornwall. Sights nearby - Explore the regions historic tin mining heritage that has shaped the region since pre-Roman times. Great walks - The St. Agnes coastline is full of wonderful walking routes. Surfing - Cornwall's surfing spots attract people from far and wide. 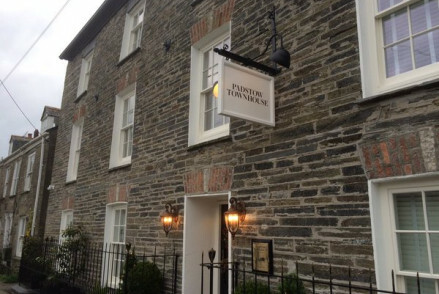 A boutique restaurant with rooms situated in the trendy town of Fowey. Rustic chic (nautically inspired) rooms are light and airy with soft greys and blues. The restaurant is worthy of a trip alone with superlative British cuisine served up comprising heavily of Cornish produce. 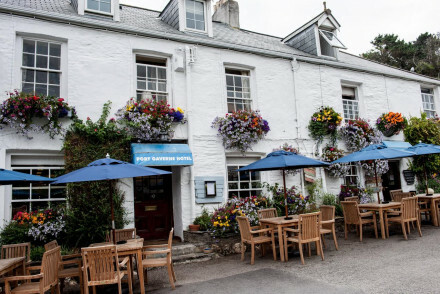 Foodies - Feast on refined pub grub in a restaurant with fabulous sea views. Sailing - Take in the sights of the Fowey Estuary and Polruan on a boat trip from Town Quay. Great walks - Take a subtropical journey through the Lost Gardens of Heligan. 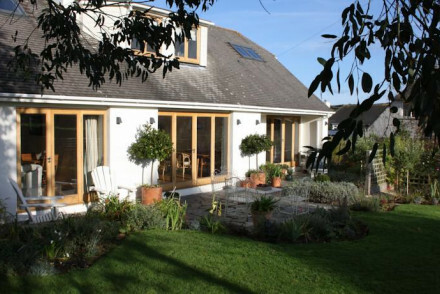 Delightful boutique B&B nestled amidst rolling Cornish countryside outside St. Austell. Six individually designed rooms featuring bright colours inspired by the owners' travels, two with private hot tub. Gorgeous mature gardens and table d'hote style dinners. Perfect for a romantic hideaway. Local exploring - In the heart of rugged Cornish countryside, it's a great launchpad for exploring the area around St. Austell. Private Hot Tub - Two of the rooms have their own private hot tub and secluded garden. One even has a woodburner. Sights nearby - Six miles from the amazing Eden project, it boasts an enormous indoor rainforest. Great walks - The surrounding countryside has a whole host of lovely walking routes. An idyllic farmhouse packed full of history and charm, overlooking the coast in a glorious part of rural Cornwall. 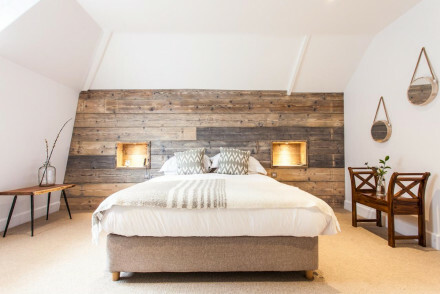 Chic, renovated rooms perfectly mix traditional and contemporary styles with neutral tones, exposed beams and wooden floors. A delightful respite after a day exploring the region. Country Escape - Expect roaring fires, boardgames, fabulous walking country and homemade food. Great walks - Hop on the scenic South West footpath and walk for miles. Fishing - Try your hand fly fishing at the Tavistok trout fishery. 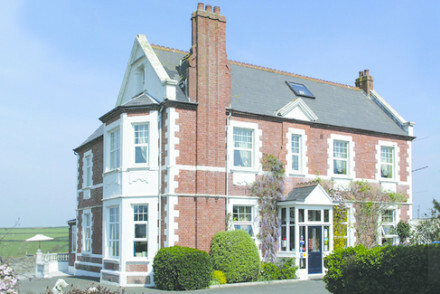 Situated a few miles to the west of Padstow, Treglos Hotel is an excellent modern place. 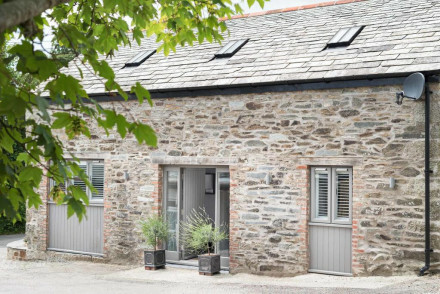 Featuring smart rooms, a superb restaurant and an indoor swimming pool, Treglos offers plenty for guests looking to explore this corner of Cornwall. Sailing - The area around Padstow is great for sailing, with sheltered water for novices and more open seas for advanced sailors. Sights nearby - Sights nearby include Newquay Aquarium and the Eden Project. Surfing - The surrounding coastline is superb for surfing. Great walks - The surrounding coastline is great for walking. Soothing contemporary haven overlooking St Michael’s Mount. Modern and simple rooms with large glass doors leading onto balconies. The best have sea views. An excellent restaurant using the fresh local produce. A lovely spot for a romantic getaway. Foodies - An award winning restaurant using excellent local produce. 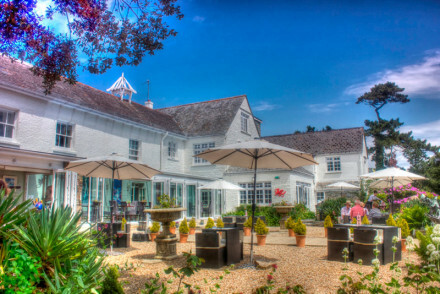 Romantic Break - A boutique hotel in a stunning and tranquil location. Great walks - Walk along the famously stunning South West Coast Path where many isolated beaches are to be discovered. Sights nearby - A number of nearby ancient stone circles including Lanyon Quoit and the Merry Maidens. St Tudy Inn is located in the rural Cornish village of St Tudy. The inn offers chic accommodation in light hues - think plenty of greys and whites. Upmarket pub classics served up that are bound to please! A quiet country getaway, ideal for couples weekend breaks. 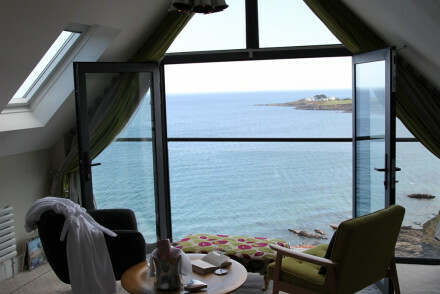 Wake up to views of the rugged Cornish coastline. Simple yet stylish, modern rooms decorated in light palettes with modern bathroom suites to match. The beach is quite literally on your doorstep. 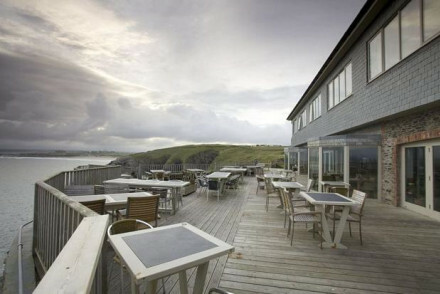 Enjoy dinner and a drink out on the breezy terrace.This hotel is like a breath of fresh sea air. 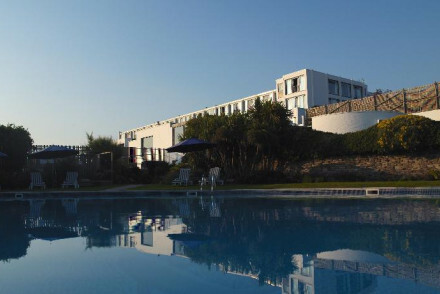 Just off the beach, Primrose Valley Hotel epitomises Cornwall's superb hospitality culture. With views that flow out across the beautiful surroundings and stylishly designed rooms, it's a hotel that makes the best of its surroundings. A coastal gem. Surfing - The Cornish coast is a haven for surfers. From novice to pro, you'll find a wave for you. Sights nearby - Land's End is just over ten miles away. A sophisticated seaside hotel, the ideal place to relax and take in the sea air. Light, airy contemporary decor with a Mediterranean feel. 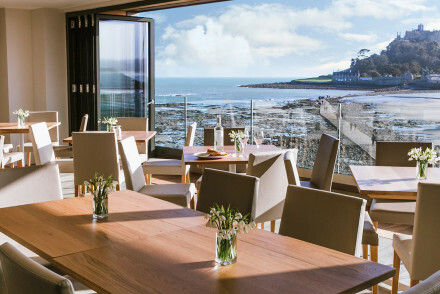 Afternoon tea is served on the decked terrace, where you can enjoy spectacular views across St Ives Bay. 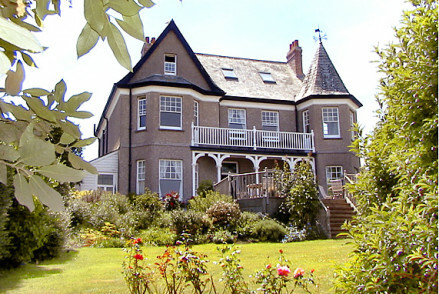 A boutique B&B offering fabulous sea views, cosy accommodation and a friendly welcome. Rooms are individually styled with the right balance of traditional and contemporary design. Fabulous breakfasts are served and there's a well stocked honesty bar for evening tipples. 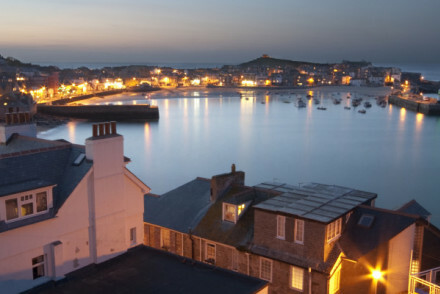 Local exploring - St Ives is a trendy little town filled with art galleries and cafes. Then there's all the beautiful Cornish countryside. Great walks - Head out from the property and take scenic walks along Carbis Bay. 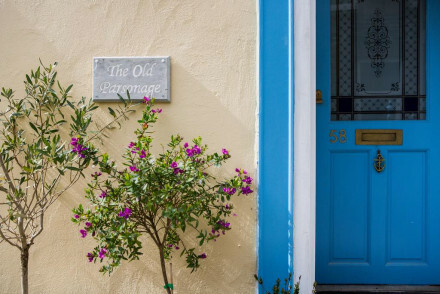 Coswarth House is a charming boutique B&B in the fishing town of Padstow. 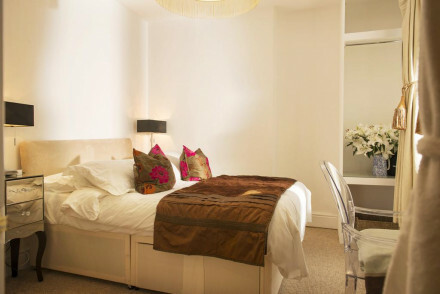 The rooms are elegantly designed, featuring comfortable beds and tasteful furnishings. A great choice for those looking for a peaceful stay in Padstow. Surfing - The surrounding coastline is full of great spots for catching some waves. Great walks - Go for lovely walks along the surrounding coastline. Sailing - Padstow bay is a great spot for sailing. A boutique Inn located in a picturesque village just outside St Ives. Individually styled rooms are named to reflect their character. From 'Cosy' to 'Quirky' each is stylishly designed and comfortable. The staff are exceptionally friendly and the food both hearty and skilfully crafted. Local exploring - An ideal base to explore the chic town of St Ives, access the beach and discover Cornwall's countryside. Great walks - Discover Cornwall on foot taking long walks along the coastal path. As refreshing as the Cornish coastline you can see from your window this nautical inspired B&B is simply stunning. Six individually designed bedrooms ooze style with colour palettes to match the sky and surf of St Ives. The downstairs snug offers an honesty bar & breakfast is totally organic. Sights nearby - For art lovers the Tate St Ives and Barbara Hepworth Museum and Sculpture Garden are worth a visit. Sailing - Take a boat trip to Seal Island where you can spot seals, dolphins and much more. Great walks - To the Lizard Peninsula and the Kynance Cove makes for an excellent day out. Surfing - Nearby Porthmeor Beach is where surfers go to hang ten. Beautifully simple rooms attached to Rick Stein's renowned restaurant. Splashes of blue's and white give a Cornish flourish. Friendly and well trained staff are a pleasure. The restaurant hardly needs an introduction. The perfect weekend escape. 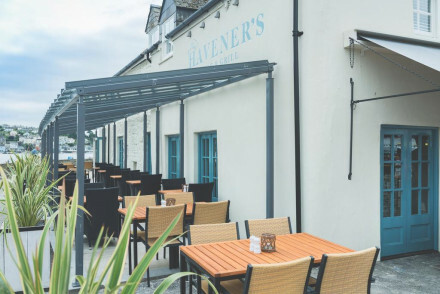 Foodies - Renowned for his seafood prowess this restaurant has become a must visit for all foodies in Padstow. Back to Nature - Right on the sea, watch the fisherman at work, before head out on an exhilarating coastal ramble. Fishing - Leave from Padstow harbour for a morning fishing trip and hopefully catch some dinner! Sailing - Sail out of Padstow and explore the beautiful coastline, an idyllic day out. A luxury hotel in the glorious town of Falmouth. 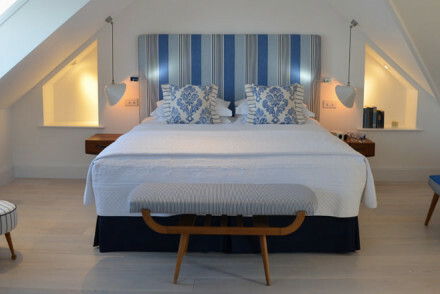 Chic rooms are simply dressed with crisp white linen, shades of blue and the best have fantastic sea views. Unwind in the pampering spa and feast in the award winning restaurant. With endless activities in the area this is an ideal British escape. Local exploring - Perfectly located on Falmouth's historic coastline and within easy reach of the town's main attractions. Sailing - Take to the water for a morning or afternoon with Falmouth School of Sailing. Great walks - Take a stroll through the sub-tropical Trebah Garden. 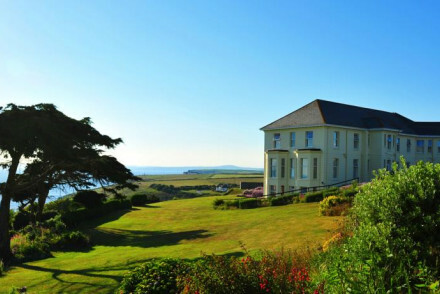 A charming family-run hotel overlooking the south Cornwall coast. 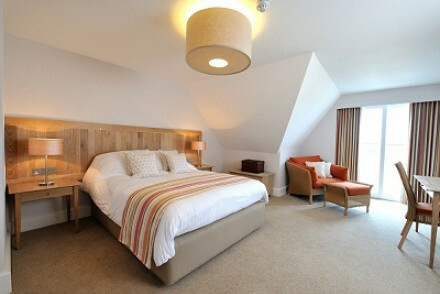 The rooms are spacious and comfortable, with tasteful furnishings and warm colour schemes. The family restaurant serves delicious local specialities and also caters for kids. A great choice for a family holiday in Cornwall. Families - An ideal family getaway with spacious apartments, a lovely playroom, and free stay for children under sixteen. 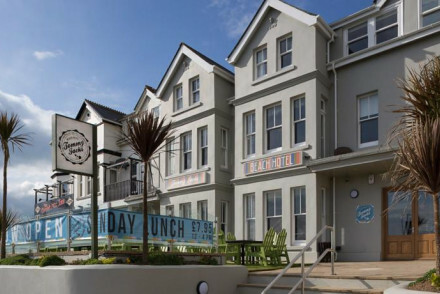 Beach Life - A charming beach-chic hotel with stunning seaside views, just one minute from the beach. Sailing - An excellent stopping point for a sailing trip around the south coast. Great walks - Enjoy the beautiful coastal walk to Portscatho from the hotel. 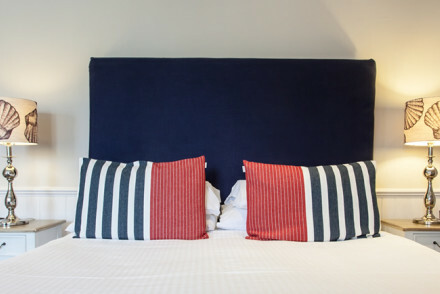 Seaside boutique hotel, attracting the younger crowd, with a perfect position right on the harbour wall in St Mawes. Up to the moment design and wonderful restaurant with the freshest fishy ingredients. A picture-perfect castle set within beautifully manicured gardens. Individually designed rooms remain true to the property's style with antique furniture, chintz fabrics and the best have four-posters. A grown-up property for elegant rural escapes. Country Escape - A picture perfect castle set within a 55-acre estate. Sights nearby - Visit the Lost Gardens of Heligan and the Eden Project. Great walks - Take long walks through the property's grounds. 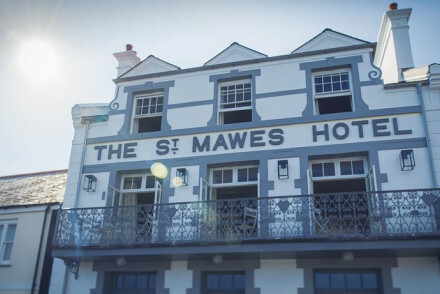 St Mawes Hotel is awash with charm and character, and captures the nautical essence of it's surroundings. The rooms are elegant and simple with crisp design features and tasteful furnishings. After a days sailing or surfing, return for some delicious seafood dishes in the restaurant. A coastal gem. Beach Life - A lovely beach-chic coastal property only a few minutes from the beach with excellent seafood restaurant. Local exploring - Perfectly placed for exploring the beautiful south coast of Cornwall either by foot or by boat. Sights nearby - Visit Cornwall castles such as St Mawes Castle and Pendennis Castle, both within two miles. Sailing - This makes a great stopping point for a sailing holiday in Cornwall. 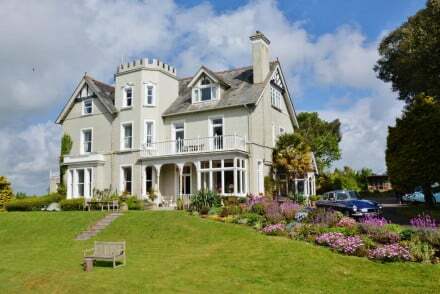 An imposing white Country House boasting a fantastic cliff top location offering far reaching sea views. Traditionally dressed rooms are spacious and elegant, predominantly white-on-white with antiques and enormous sash windows. The restaurant and bar are a celebration of all things Cornish. Romantic Break - A romantic clifftop hotel ideal for long dinners and walks. Great walks - The property is located just a short distance from the scenic South West Coast Path. Surfing - West Cornwall has a wealth of beaches with great breaks. 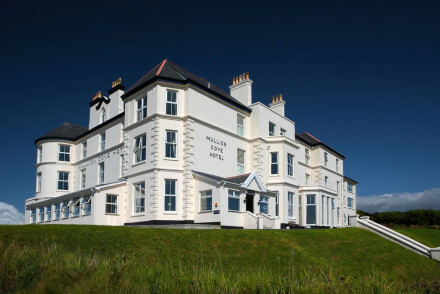 An elegant hotel boasting fabulous sea views. Spacious rooms are simply dressed with white-washed walls, softly patterned fabrics and boast luxurious bathrooms. A fine-dining restaurant, champagne bar and indoor pool are utterly spoiling. The perfect destination for a weekend break. 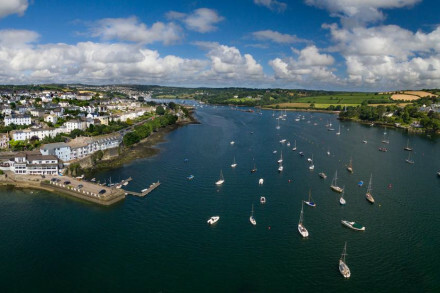 Local exploring - Falmouth offers a host of outdoor and cultural pursuits. Surfing - Praa Sands and Kennack sands both offer some good breaks for sufers. Sights nearby - Marvel at the mighty fortress, Pendennis Castle. Great walks - Stroll through the sub-tropical Trebah Gardens. 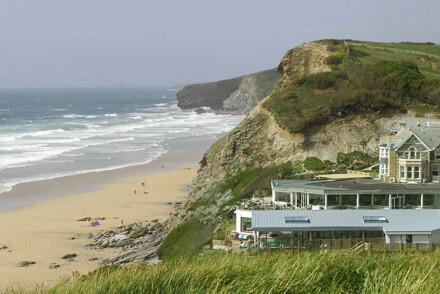 Overlooking one of Cornwall's superb surfing beaches, Watergate Bay Hotel is a prime, retro beachside getaway. Chic rooms are decorated in contrasting palettes of greys, yellows and blues. The Living Space boasts panoramic glass walls whilst Zacry's restaurant serves up locally sourced cuisine. Great walks - Try your hands (and feet) at Nordic walking. Surfing - Watergate Bay is a prime surf spot. A chic converted townhouse. Six beautifully designed suites give a traditional feel with antique style furniture off set with state of the art mod-cons and luxurious modern bathrooms. There's no restaurant on site but the owner's excellent Number 6 is just down the road. A charming option. Local exploring - Situated in the heart of Padstow and within striking distance of the coast and surrounding countryside. Foodies - With Paul Ainsworth as the co-owner his excellent restaurant Number 6 is not to be missed. Sights nearby - Visit the majestic Prideaux Place and stroll through the formal gardens and deer park. Great walks - Take a long coastal walk along the rugged coastline. A country-style hotel on the beach. Large, elegant rooms with colonial furniture and sea views. Outdoor and indoor pool, spa, a tennis court and a croquet pitch for your enjoyment. Choice of two restaurants and a bar and lounge. Secluded and magnificent. Beach Life - Situated at the Carne Beach, guests may indulge in volleyball, cricket or a short stroll by the sea. Dogs are welcome too.